In our August meeting, our members voted to donate to this worthwhile 501(C)3 Charity and on Thursday, September 21st our donation was delivered! This great organization is dedicated to helping support those burdened with Pediatric Cancer by giving hope and support in so many ways. 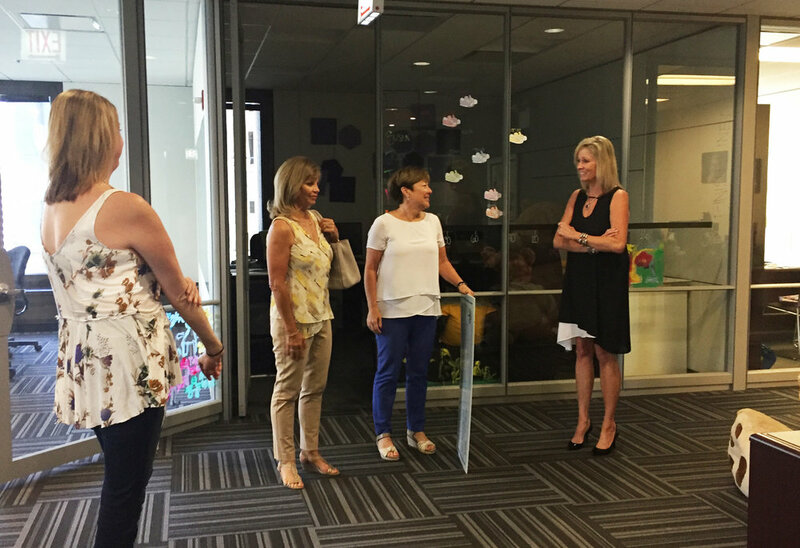 We met with CEO and Founder, Kathleen Casey, who gave us insight into the work they do through "Bear Hugs" and research funding. Our Debby Piraino brought this charity to our 100WWC chapter meeting with hopes of donating and we have now donated $5100 to research for pediatric cancer. For more information about this worthy cause, click the links below.